I know this look is from last December but I love it. 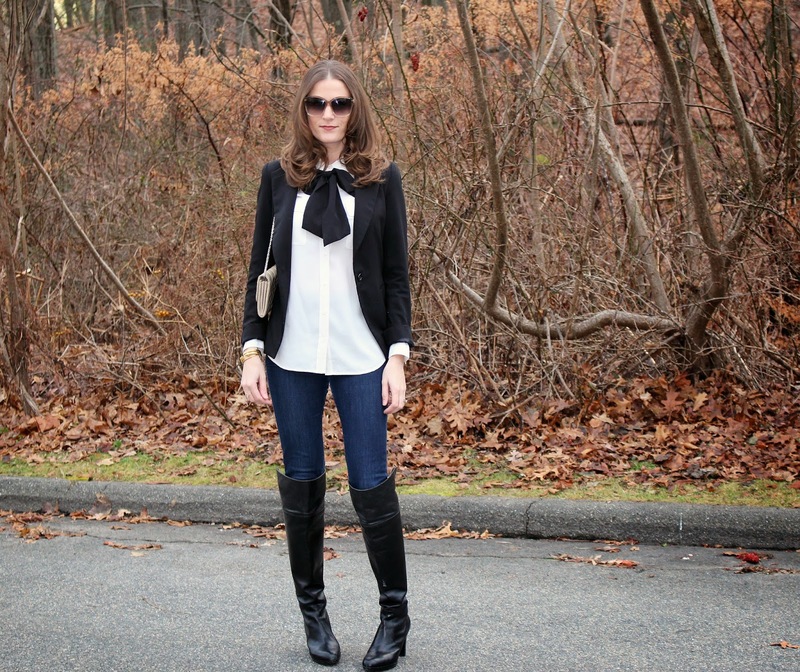 It is a more casual take on that white blouse+black bow scarf trio. 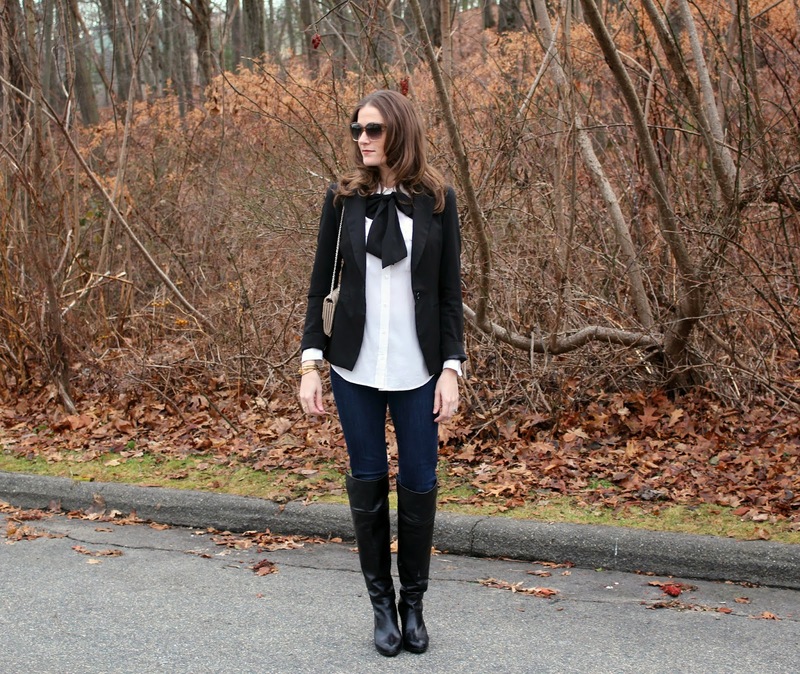 It all looks great with the classic black blazer. 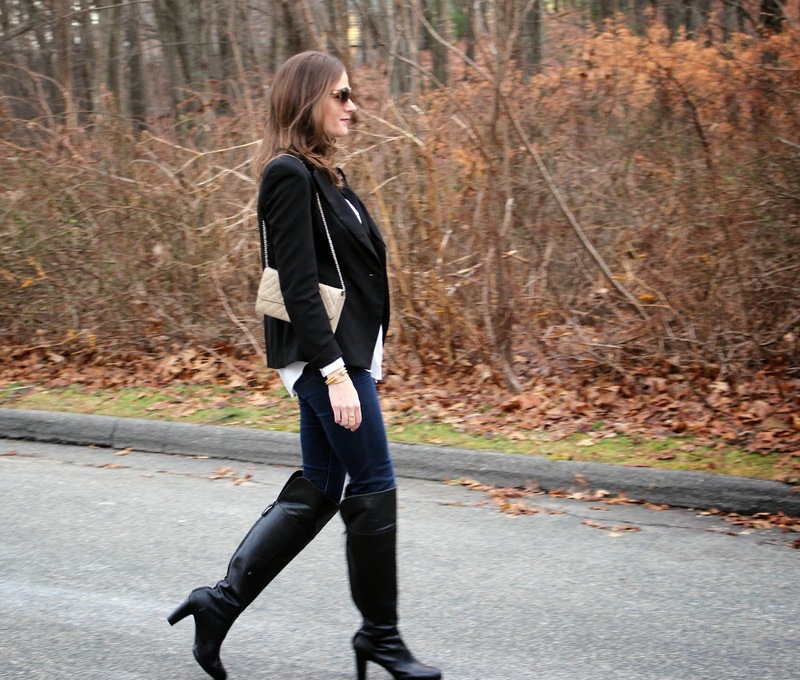 Amazing jeans and i like also these boots.